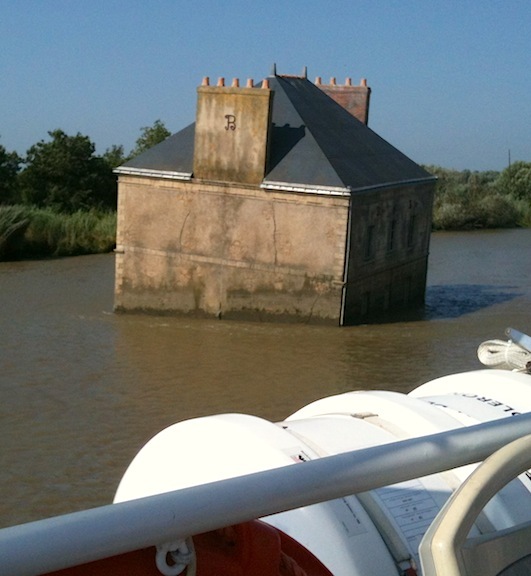 So yesterday we went on an art tour by boat from Nantes to Saint-Nazaire. It was Bernard’s idea and along for the trip were Christine, Bernard, Théo, Claire, Melinda, and me. It was a great time. If you want to know more about it, read about it (in English) here. Me, here are some additional things I think you should know. #1 – That really is a house in the water. It’s an art installation. Think that’s nuts? Go to that link above. 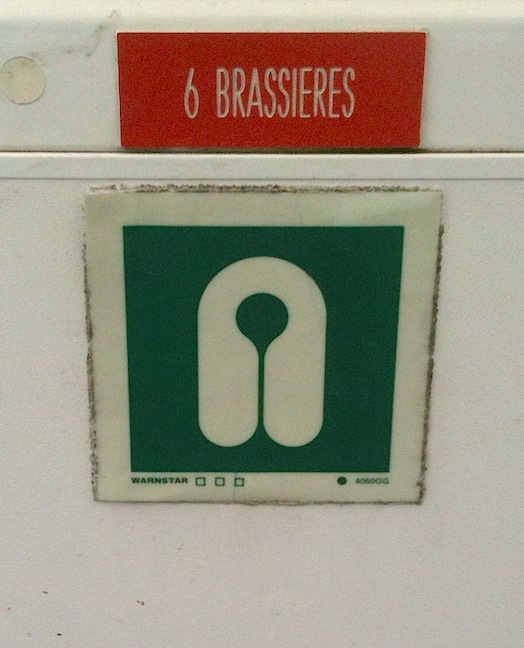 #2 – As I wandered the boat, I discovered that they have brassieres stowed away in packages of 6. My guess is that if the water gets rough and a lot of large-chested women are on the boat, they want to keep everything in order. 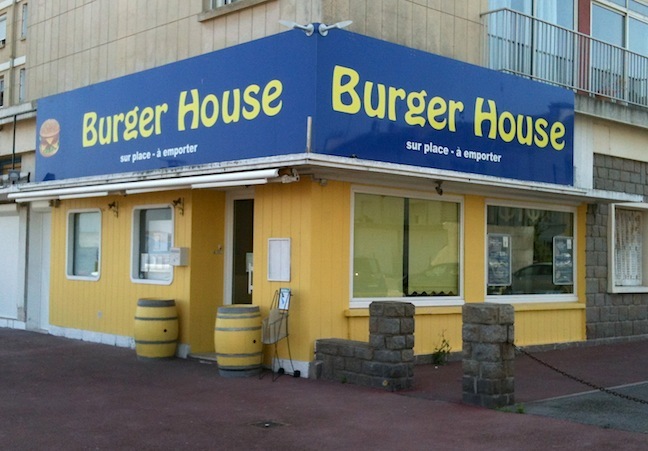 #3 – When you get off the boat in Saint-Nazaire, the first thing you see is the re-purposed Burger House!! You may recall that Rick moved the Burger House out of Nantes. Sad fact of the day, it was closed yesterday.